Restaurants have a way of capturing the prevailing culinary zeitgeist at their moment of creation. Take Barbara Lynch’s iconic No. 9 Park: It’s hard to imagine that restaurant—with its formal service style, Brahmin-friendly interior design, and continental menu—opening in this century. But its impact remains undeniable: No. 9 has helped launch the high-flying careers of next-gen chefs who have gone on to open their own of-the-moment ventures. Such is the case with No. 9 alums John daSilva and Ted Kilpatrick, whose new restaurant, Chickadee, feels so right now that you don’t need to be told it opened mere months ago. 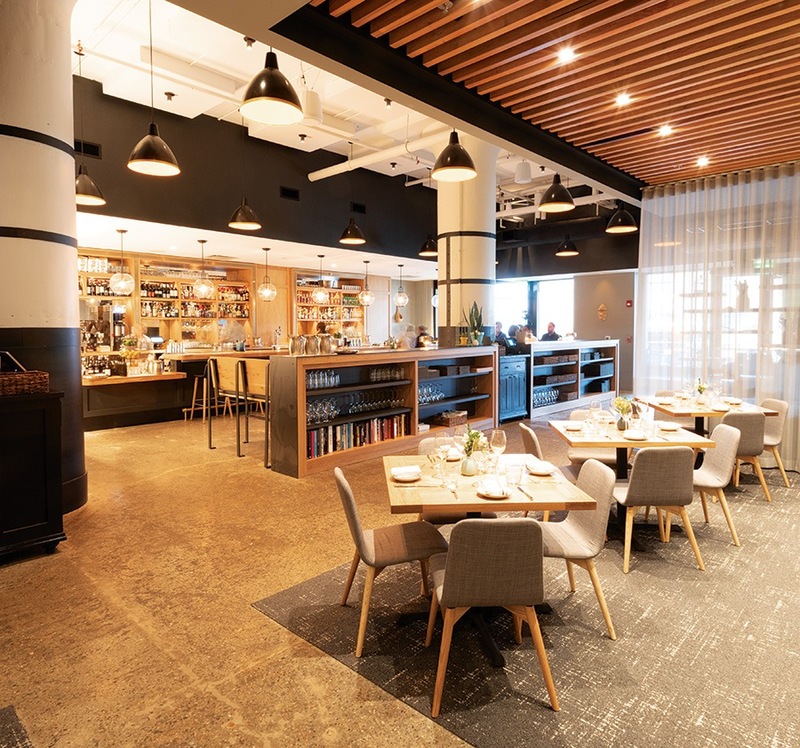 In this Seaport spot we see fine dining for maturing millennials, the group that gave us food trucks and coined “fast-casual,” for whom an elevated experience is no longer defined by white tablecloths in a Beacon Hill brownstone.